My favorite thing about yesterday's race wasn't the PR, the medal or the feeling of crossing the line after two hours of running. It was the fun of the day, being around people that I knew, who were sharing the same experience as me. Last year's half marathon was a singular effort. I traveled alone, ran the race alone and had little contact with anyone else until I'd finished the race. 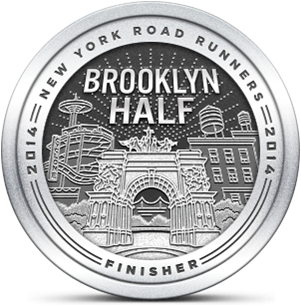 I wasn't alone before or after the Half Marathon and it made a big difference for me. My family often joins me at races and it always feels special when they do. But a half marathon is a long time to wait on the sidelines for someone that you see only for a moment. I had my special after-race time with my wife and kids when I got home yesterday, and it was great. Over the course of two hours and eight minutes, there's a lot of time to think. The field was crowded and that allowed me many opportunities to study the runners ahead of me. I'm always amused by what some people wear during a race. At other times, my mind drifted to non-race related things, and I found myself surprised to be passing mile markers so quickly. I spend a lot of time "in the zone" over that 13.1 miles. Most importantly, I had fun while I ran yesterday's race, and that was completely opposite to my previous experience running the half. You train a lot and pay money to enter a race. If you don't enjoy it, you shouldn't do it. 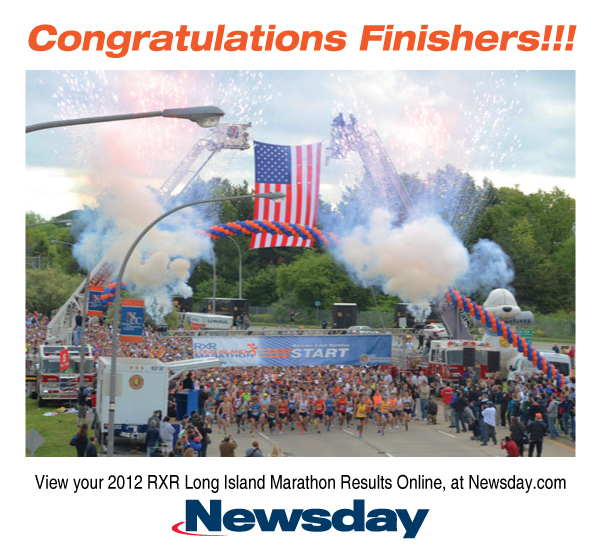 The LI Half was certainly worth the price of admission. In fact, it's much more than that.